With one of the most promising segments for senior living, Colorado is quickly becoming a hotbed for senior housing development, according to industry data. As more baby boomers enter retirement, the national interest in the senior living space continues to grow in the Colorado region and across the nation, due to its active lifestyle appeal, among other factors. Taking place in the heart of this bustling baby boomer region is the fourth annual 2016 Senior Housing and Care Conference & Expo presented by the Colorado Real Estate Journal and Husch Blackwell LLP. The event returns on April 19, to Englewood, Colorado, which is part of the Denver-Aurora Metropolitan Area. As the largest gathering of senior housing operators, owners, developers, investors, lenders and other real estate professionals in Colorado, the conference is a can’t-miss opportunity. More than 350 industry professionals are expected to attend. “It’s a great event, not only for networking, but for education as well,” says Jennifer Haynes, partner at Husch Blackwell. 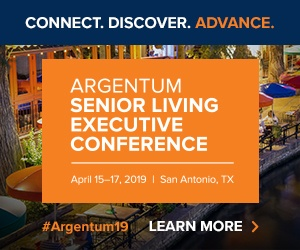 Industry experts leading panels will discuss a variety of topics over the course of the day, including the evolving models in skilled nursing, independent and assisted living. The expo has also switched it up a bit with new panel discussion topics about emerging products that are defining trends across the industry. The day will kick off with a broader overview of the current state of the senior housing industry, both on a regional and national scale—critical information for industry partners. This post is sponsored by Colorado Real Estate Journal.